Holiday plans for tens of thousands of air passengers could be in jeopardy as Ryanair pilots ballot to go on strike as early as next week. The pilots are set to back the strike action in a ballot today in a row over who gets first call on workplace perks. Sources said it was likely that a majority of more than 100 directly employed pilots at the airline would vote in favour of industrial action. The Irish Airline Pilots Association (IALPA) gave its members until early July to cast their votes. Pilots want the length of their time in the job to decide who gets first call on entitlements like annual leave during school holidays, promotions and transfers between bases. IALPA wants a master seniority list to be drawn up and said this was the norm at other airlines. Cabin crew from across Europe are threatening a "summer of industrial action" for "fair" pay and conditions. What are my rights if my flights are cancelled? Members of the International Transport Workers Federation (ITF) will meet in Dublin today to draw up a list of demands. The union's demands come after Ryanair agreed to recognise unions across Europe following a strike threat before Christmas. The airline has still not finalised a recognition agreement with IALPA's parent union, Fórsa. 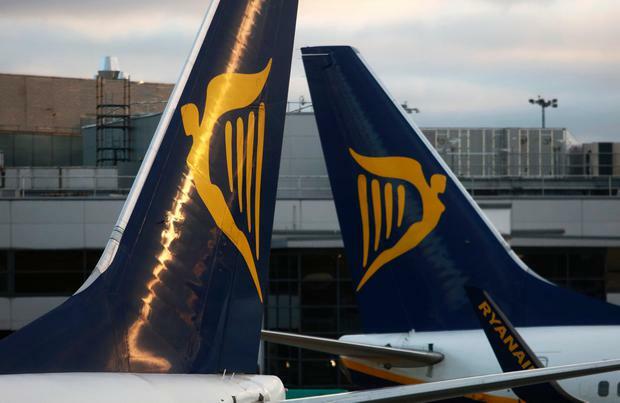 The ITF said Ryanair had a long way to go before it wins a reputation as a good employer. It said that the company signed a recognition deal with Unite for UK-based cabin crew but had yet to provide any concrete improvement in conditions. "Conditions at Ryanair have been heavily criticised over the last few years, with the range of issues highlighted including poverty pay, draconian disciplinary procedures, unachievable sales targets and staff having to pay for items that most decent employers provide," it said. It said cabin crew would meet in Dublin to draw up a 'charter of demands'. "If these demands are not met, the company risks a summer of industrial action," it said. Meanwhile, German labour union Vereinigung Cockpit said it had agreed with Ryanair management to continue negotiations, even as it ballots the carrier's pilots in Germany on possible industrial action. Ryanair last year agreed to recognise unions for the first time to try to avert strikes, but is struggling to reach agreements in some countries. The German pilots have until the end of this month to cast their votes. Ryanair did not respond to a request for comment.